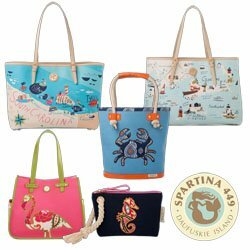 Spartina 449 Beach Bags and Towels | P.C. Fallon Co.
You'll have style to go with a Spartina 449 beach tote or towel! These generously sized beach totes, wallets, wristlets and towels are just the ticket for a leisurely day at the shore, a trip to the pool, or whatever life has in store. Playful designs look fresh and fun.